Cape Town – Has Brooklyn Beckham moved on from Chloe Grace Moretz, again? 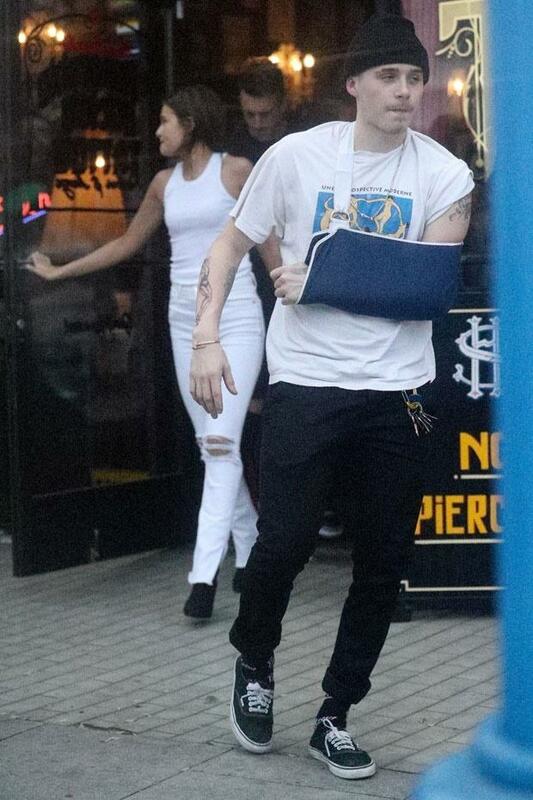 The 19-year-old was spotted kissing a mystery brunette at a tattoo parlour in West Hollywood on Saturday. The spotting may seem confusing to some as Brooklyn was last reported to be back together with ex-girlfriend and actress Chloe Grace Moretz. The two broke up in September 2016 after first being linked as a couple back in 2014. They then appeared to rekindle their relationship in November 2017 when they stepped out together for the first time to co-host an Xbox event in New York. Chloe last shared a photo of Brooklyn on Instagram on 4 March, wishing him a happy birthday. Meanwhile, Brooklyn’s last post dedicated to the If I Stay actress was on 15 February for Valentine’s day. It appears Brooklyn added a “classic Vargas piniup” to his tattoo collection. Tattoo artist Doctor Woo shared a snap of the fresh ink on Instagram after Brooklyn’s visit.